It’s been disconcerting watching the NZ election. Despite our isolation, it seems we are not immune to the fake news cycles that have increasingly plagued elections overseas. There’s a few reasons why “Fake News” has become so prevalent, but it is a shame when it impacts at the very heart of our democracy. In the last week, National have been making sustained claims that Labour plan to increase income tax rates next year. And yet when you dig into the issue, Labour have actually said they will not be implementing National’s proposed tax cuts. Not getting a tax cut is way different to increasing tax rates, and yet if the polls are to be believed, National has been rewarded for this dishonest scaremongering. It’s not an isolated incident though. 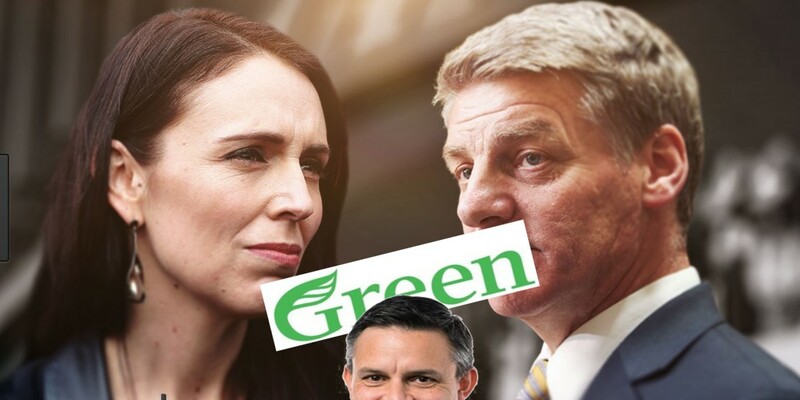 Earlier in the campaign, National claimed Labour had an $11b fiscal hole, a message that quickly gained traction on traditional and social media alike, and yet it was subsequently proven to be false. The trouble is these “Fake News” stories travel so quickly, and have become a powerful tool for Politicians willing to exploit them. That something is false or dishonest hardly seems to matter anymore, but get used to it, as it is being driven by a number of forces. Firstly, people no longer care for the details. We have become driven by soundbites, gifs and memes, and our Politicians have figured this out. When Bill English made his initial claims of Labour increasing income tax, he knew most people wouldn’t bother checking into Labour’s policy. A simple sentence and the damage was done, with right wing media and pundits all jumping on to post the quote and share it around. Secondly, social media can give anyone a voice. In some ways this is a good thing. I can post about conservation issues and get a decent audience, and it has to some degree weakened the hold of traditional media on the public consciousness. But it means nutcases with very skewed versions of reality can also become very influential. A disgruntled troll living in the basement of his mother’s house may have as much media reach as a Journalist who spends weeks researching and fact checking. The entire media landscape is also splintering. Leading up to the US election last year I was in Florida and watching both Fox and CNN covering the same issue, and yet it was like a completely different story. One would be praising Trump as the only many to solve the US’ problems, while CNN was likening him to Lucifer. As media sources have proliferated, so to have our options in terms of what we watch, and increasingly we watch what reinforces our perceptions of how things are. Republicans watch Fox and Breitbart, and Democrats watch CNN and Upworthy, and there is little middle ground anymore. Cognitive Dissonance at its best. The final point is that negativity now normally wins over positivity. I find this with my own conservation posts. A highly negative post generally gets more likes, shares and comments than a really positive one. Conservation of course is a hard gig right now, and there is not a lot of positive stuff for us to promote. But the danger is we descend down a spiral of negativity that becomes self fulfilling. In many ways the messages National have propagated through the current campaign have been highly negative, and you’d have to say looking at last night’s poll, they’ve been largely successful. We’ll find out in 2 days time. One thing we are lucky of here in NZ though is at least we have some decent candidates. I’ll probably vote Greens-Labour, as I believe they offer the best chance for us to stop the degradation of our waterways, we may see DOC get funded rather than gutted, and we may get decent support for renewable energies. I’m a simple creature though, and I expect most of you will be considering many more things in making up your mind.